Water is my reference and metaphorical medium. 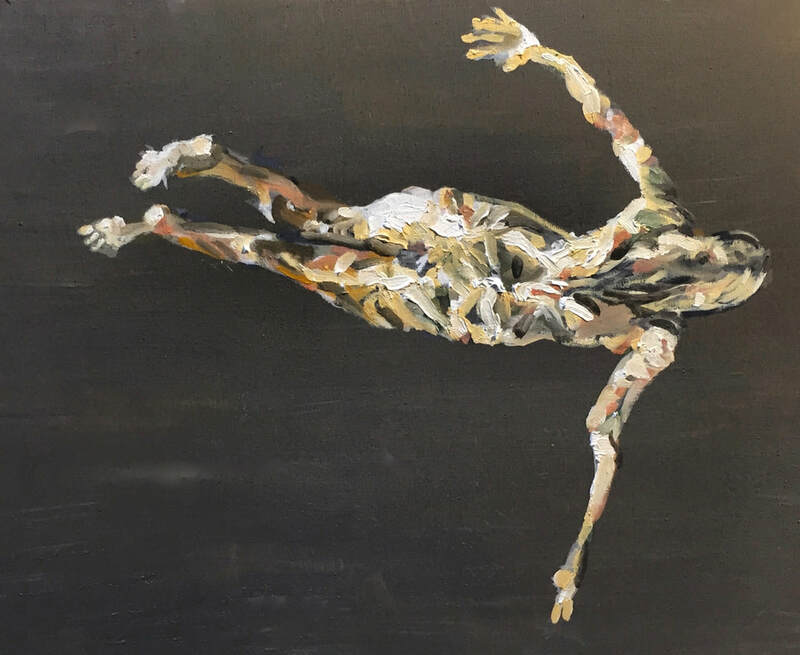 I have been painting swimmers for about 14 years. In summer photo-shoots I ask friends and family to swim back and forth in shallow water while I stand above with my camera. I record their bodies moving, merging with the motion of the waves. Lights and shadows create patterns on their skin. Their contours are liquefied. 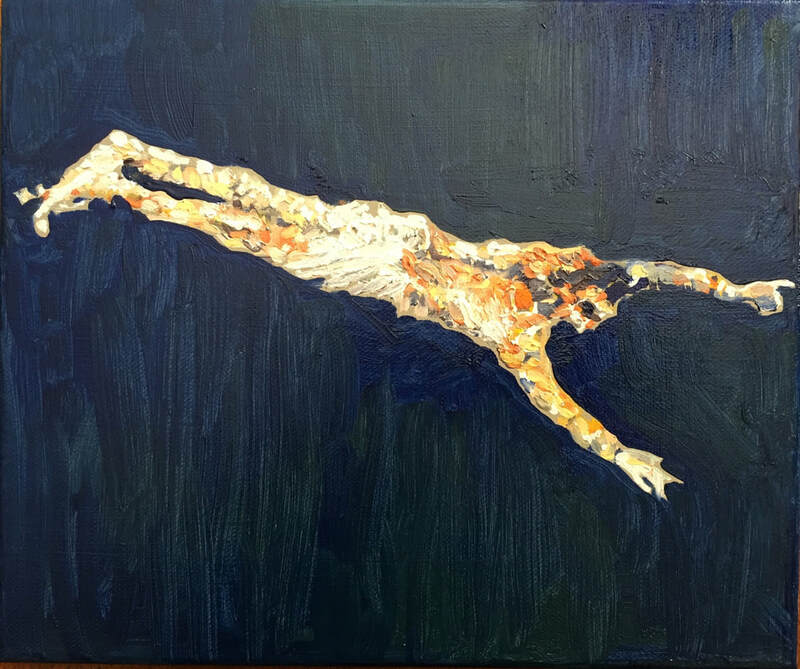 I work mainly in oils, sometimes acrylics, often repeatedly painting the same swimmer in series. 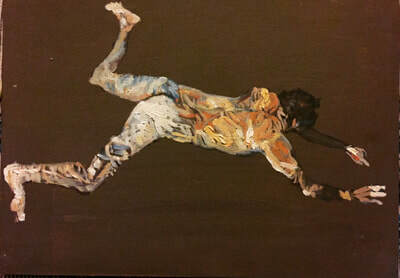 I seek to establish a gestural resemblance, a recognizable body posture: an identity. Just as the swimmer moves through water, we move through life, exchanging and merging with the shifting world around us. Our environment affects us, changes us, defines us, and the experience becomes the very fabric of our identity. Like chameleons, meshing with our surroundings, our life experience is recorded on our skins.